President Peter Mutharika remarked in Parliament today that democracy is a ‘curse’ to Malawi and that human rights including the freedom of expressions is a waste and bad for the country, Malawi24 reports. The remarks which are likely to draw the wrath of human rights activists follow a nationwide outcry accusing Mutharika as a visionless leader failing to inspire Malawi’s economic growth. 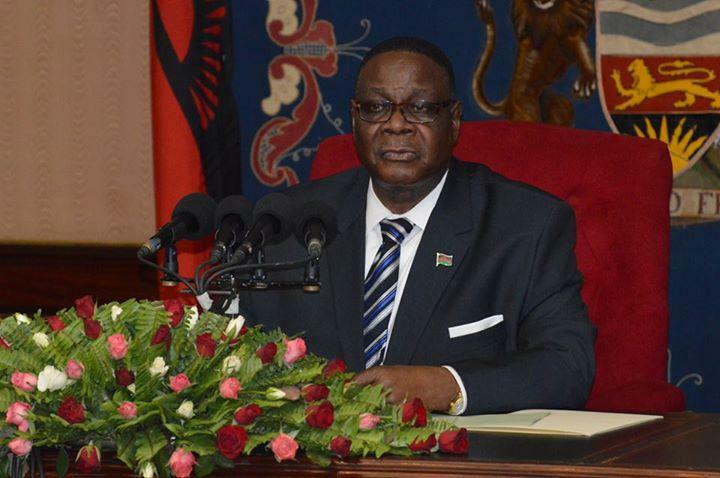 Mutharika issued the remarks while presiding over the opening of the 46th session of the Malawi National Assembly. No matter what Mr President, do what else you see is helpful to us! Mr president, you are just seconding what the Great Dr H K Banda said,democracy is war. ‘democracy’ is word driven from latin word’demon cracy’ which meant the “Satanic Arm”. Sorry am not a DPP but Peter is right, I neither support it. No wonder these people who brought the so called democracy is now want us to be Sodomites. Sorry again I have not used the word ‘gays’ here cause I have no problem with its meaning, which meant “happy and joyous.” why do they use that word to refer Sodomites? Ummh Bodza Sanatero Ifensotu Tamva! You need to read the president’s speech between the lines and understand what he said. If English is your problem, then quit this profession and join farming than giving us nonsense reports. Divide and rule principle which you are advocating, is not good for our consumption as malawians. Who is the owner of malawi24? He is worse than a dog. Mungosiya zinthu zikulakani izi ma comment onsewa ali against inu kusonyeza kuti palibe chabwino zitsiru za anthu inu. We don’t want unneccessary freedoms and democracies but strict and strong laws fo security purpose. Mau a Kamuzu akuwapherezera mkuluyu musamunyoze. Democracy ndi mavuto zoona. The quote you have presented here does not mean the way you have put it in the lead. Be serious with interpreting things Malawi24. The speaker here is not trashing Democry, rather he is condemning the wrong use to which the same has been put to! Is this American english plz check bfore you publish! I think if there is an editor, then its high tym to get rid of him. pliz read the statement fifteen times may be u will get the meaning out of it. very shameful article. Don’t make the rest of M24 reporters as failures….. But this ROBBOT will definately lead us direction yolakwika. Indeed ur brother is totally different same father same mother rule doesnt apply here. Malawians open ur eyes wider. This guy called Peter Mtharika is a curse to Malawians. He’s fucked up. Paja simumamva ngende eti,why do write negatives only. The concept of democracy has no meaning to poor and shallow brains like that of Mw24.Democracy needs custody and limit.A misconception to Mw24,shame on you!!! You make the bed so you must lie on it. Whch xul did malawi 24 journalist went 2? Ur work is 2 deliver truth nt participatng in politics affiliations dats stupid reportng. Hahaha who told u? Revist my comment & com bac 2me 4 correction if u knw english,2 error is human,am ready 2 hear from u! M24,you are misleading pple.you want to tell us that you don’t understand english? The choice of MEC and Judge Nyarenda after giving them bundles of green mats. True Mr president. We put too much energy on irrelevant arguments and division while the masses are suffering. some people such as CSO’s benefit financially from such unnecessary arguments. Lets all build Malawi and oppose sensibly. From day one Peter has been attacked, Malawians lets work up and smell the coffee. You cant be in a campaign mode for 5 years. Ok you say DPP stole the 2014 elections, MCP and company why did you not contest with the courts. Chakwera you were there at Peter’s inauguration, meaning that you accepted him, although painfully rather subjecting us to such hard times. It is your efforts that is keeping away development partners and foreign direct investments and who suffers it is us the Povo. Lets stop these unnecessary criticism and build Malawi together. By the way we are the poorest nation in the world and i foresee this status quo being maintained as long as we are poor in mind and start to see the broader picture rather than our selfish minds. Malawi is not the first country to be involved in cash gate. Other countries have plundered resources 100 times more than Malawi, but they dont wash their dirty linen in public. Let us be mature, they more corrupt countries than malawi but i have never had about forensic auditors being hired from UK. We give these foreigners an opportunity to abuse us.